Surajkund is located at a distance of few km from Delhi. It is a village that is famous for the rural settings. Tourists visit the village to get a refreshing experience. 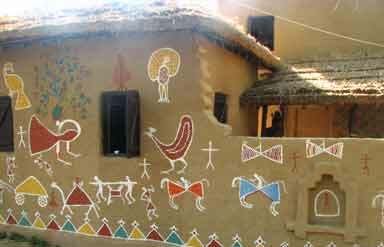 Secluded from the hustle and bustle of the city life, the village depicts the picture of culturally rich India. The destination has a charm that makes it a perfect destination for all kind of visitors. For art admirers, the village hosts a fair called 'Surajkund Mela' every year. The village has some other attractions also, which allure tourists with different taste buds. Surajkund has a rich history. The village has many evidences that speak volume about the existence of the village since the times of rajah-maharajah. Temple ruins and the famous Surajkund are the contribution of Suraj Pal from Tomar dynasty. It is believed that he was a devotee of God Sun and the temple and this lake were his offerings to God. 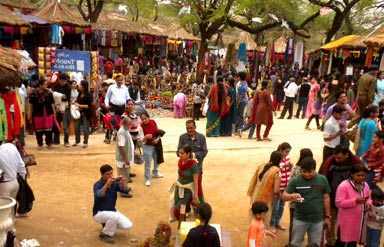 Surajkund Fair is annually hosted to showcase the finest art forms, which include hand looms, handicrafts, flavours of Indian cuisines and authentic fragrances. Every year a large number of artisans participate in the fair. International popularity of the fair allures participants from different countries as well. 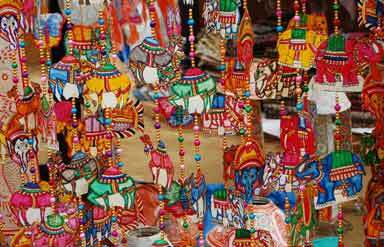 This annual week-long fair is a showcase to the hidden art and craft work of the Indian tradition and culture. Popularity of the attraction can be judged by the fact that the village got the name from this kund. Surajkund means 'Lake of the Sun'. Built in 10th century, the lake is an artificial attraction. Built in amphitheatre shape, the attraction is an evidence of rich past of the village. This reservoir provides a grand spectacle. The reservoir is filled up in monsoon but during summer it remains dry. Set up by Haryana tourism, Aravalli Golf Course is around 30 km away from Delhi. Initially designed by Joseph Allan Stein, the golf course was established in 1966. Sprawling over an area of around 45 acres, the golf course is facilitated with 18 holes. Membership to this golf course is open to Indians as well as to foreign tourists. Popularly known as Sai Dham, the temple is in Faridabad. The temple complex covers around 3 acres of land. The temple complex houses a 5.25 feet high white marble structure of Sai Baba. Apart from locals, tourists visit the temple to pay their homage to the Almighty and take the blessings. Peaceful environment of the temple is the highlight of the temple. Staying at Surajkund is not a problem. Visitors can choose from a splurge hotel to the mid-range, and budgeted accommodation options. Tourists complexes are also available. By Air: For international tourists, IGI airport Delhi is the perfect option to land. From here, they can hire a private vehicle or can use state transport to reach the destination. By Rail: Faridabad, New Town Faridabad and Ballabgarh are the three railway stations that connect the destination with Delhi. Delhi railhead connects the region with rest of the country. 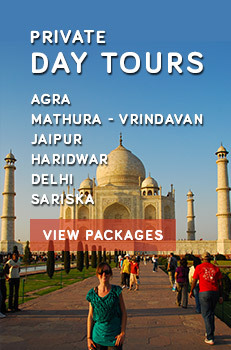 By Road: From all the nearby cities like Delhi, Agra and Mathura, tourists can hire a private vehicle to reach Surajkund. For economy travel, they can use state transport.